Samuel Forrest is from New Zealand but works and lives in Armenia, and his wife is also from Armenia. The couple recently had a baby and Sam was surprised when the baby was taken out of his wife's room soon after the birth. 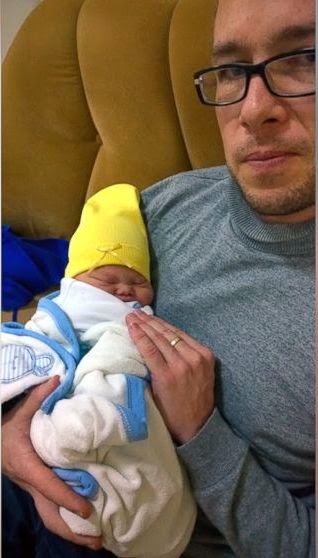 Hospital authorities wouldn't let the new dad see the baby or his wife as was the custom in the country's hospitals when a child is born with Down's Syndrome. Samuel did not understand all this until several minutes later when he was finally able to follow doctors and nurses into a room to meet his baby. That was when they told him that his son, whom he has now named Leo, had Down syndrome. Though the new dad had a few moments of shock, he got over it and when he held Leo for the very first time, he said, "he's beautiful -- he's perfect and I'm absolutely keeping him." "I got the ultimatum right then. She told me if I kept him then we would get a divorce. What happens when a baby like this is born here, they will tell you that you don’t have to keep them. My wife had already decided, so all of this was done behind my back." One week after his birth, Leo's mom filed for divorce. "It's not what I want. I didn’t even have a chance to speak with her in privately about it." ABC News reports that attempts to reach the hospital for comment haven't been successful so far. 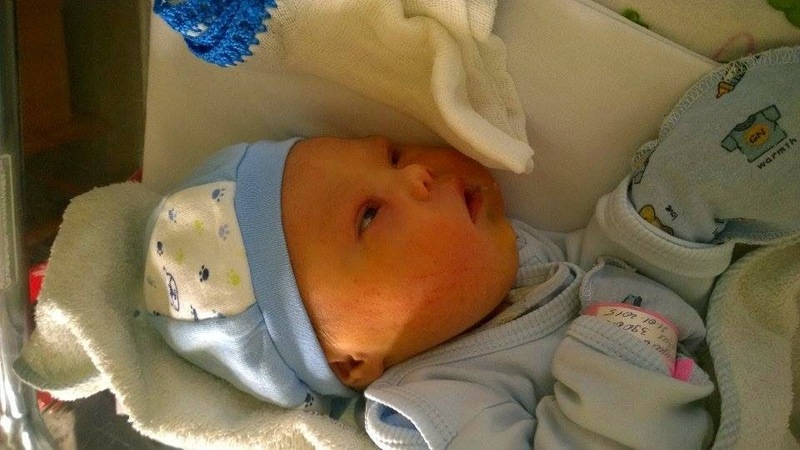 They were able to contact the baby's mother, Ruzan Badalyan, who confirmed that she did have a child with Down syndrome and she has left her husband, who has the child, but she declined to elaborate. Despite his wife's threats and warnings, Forrest said he never had a doubt in his mind that he would hold onto his son. Forrest, who works as a business contractor, has plans for he and Leo to move to his native country of New Zealand where he said they'll receive support from loved ones. In the meantime, he's enlisted for some help on his GoFundMe page titled "Bring Leo Home." "This really came out of the blue for me. I don’t have a lot, I have very little in fact. The goal is to raise enough for a year so I can get a part-time job so Leo doesn't have to be in daycare and I can help care for him. He's lost a lot in two weeks. It'd be different if he had his mommy." Forrest has recently been working with disability awareness groups to share his story in the hopes that parents will become better educated on children with special needs. "After what I've been through with Leo, I'm not going to sit back and watch babies be sent to orphanages. As a child with Down syndrome, that becomes somewhat of a label. If we can get around this label, we’ll see that they’re normal. They’re a little different from us, but they’re still normal. They all have niches and I want to work hard to find out where Leo's special. This little guy is great." The funding page gives more information on Samuel and Leo Forrest. 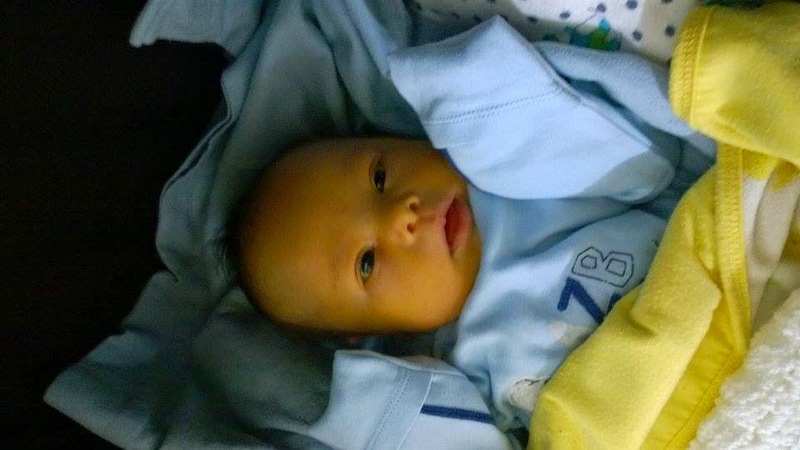 Leo Forrest was born on 21st January 2015 with Down Syndrome, in Armenia. His Armenian mother and her family abandoned him at birth. His father, a New Zealander, was no longer welcome in the family home because he wanted to 'keep' Leo. The mother refused to even look at or touch the newborn for fear of getting attached in a society where defects are not accepted, often bringing shame on the family involved. With little work, no money, resources or family, and now no home, his father Sam wants to return to New Zealand with Leo, where Leo can have a quality of life and acceptance, integration into society that sadly, is not yet possible in Armenia. As a now solo father, Sam's aim is to raise enough money to be able to care for Leo fulltime himself for at least a year, to give him the love, cuddles & devotion he needs to thrive. Your support will help to ensure this gorgeous little guy has a chance at a normal life. In this tiny, landlocked country renowned for its' hospitality, scores of babies are abandoned each year, for reasons ranging from physical or intellectual disabilities and minor 'imperfections'. This practice of abandoning children due to disabilities is unfortunately widespread throughout Eastern Europe and the Former Soviet Union, resulting from a culture which refused to accept human defects. 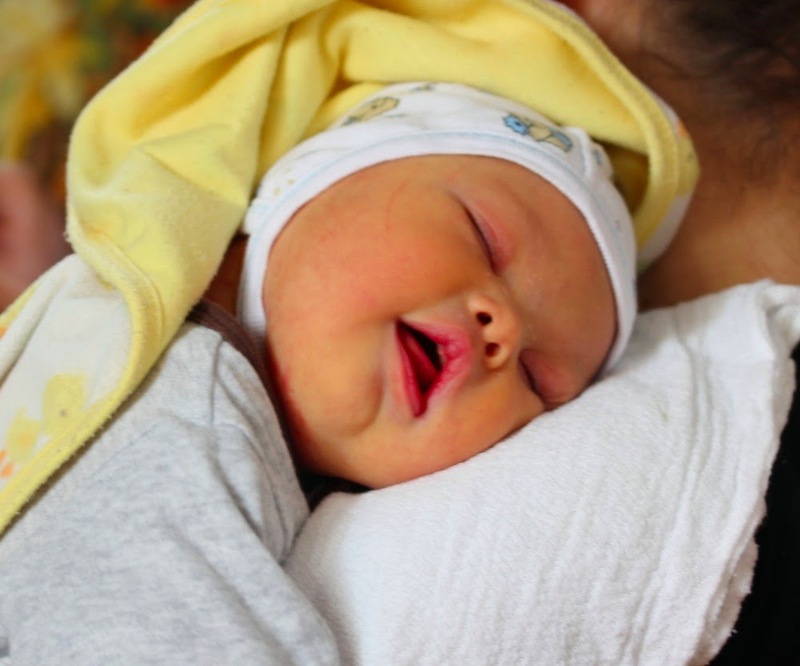 Health professionals estimate that 98% of all Down Syndrome babies born in Armenia are abandoned, every year. These abandoned babies are often placed in squalid orphanages, where they live and die, rejected and forgotten by society. Your support of Leo will also help draw healthy attention to this enormous problem - Armenia's hidden shame - and help the push for change, education and acceptance - for Armenia's forgotten babies. Katie Price Wins Celebrity Big Brother! Kim K For Love Magazine - High Fashion Art?